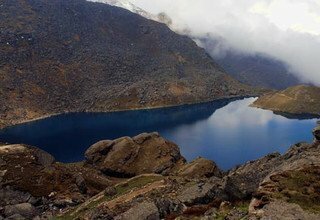 Bhairav Kunda Trek, situated nearby the Nepal-Tibet border in the Langtang Region, is a fusion of nature, culture and spiritual aspects of the Himalayas. 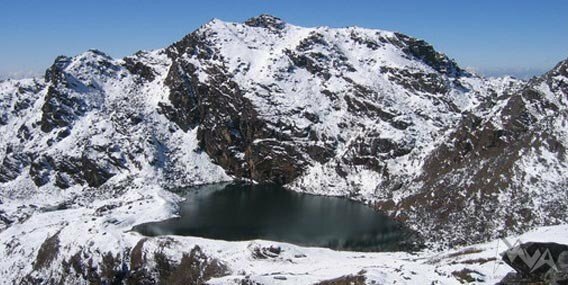 This trek is a spiritual homage to the holy lake “Bhairav Kunda ’’. “Bhairav ’’ is the angry form of Lord Shiva and “Kunda’’ means pond. 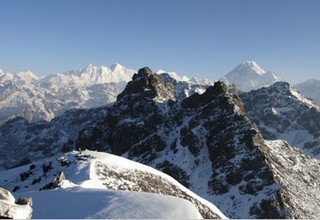 Bhairav Kunda Trek offers a close-up view of several Nepalese and Tibetan Himalayas and features the cultural exploration of Newar and Sherpa natives. 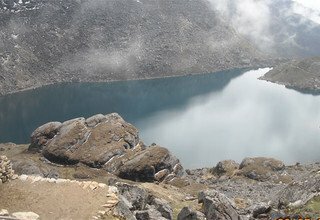 Although situated in close proximity to Kathmandu, the trail is quite, therefore allowing you to experience pristine nature. Bhairav Kunda Trek starts with a brief stay in the Kathmandu Valley. Then you drive next day to Jalbire and start your journey. 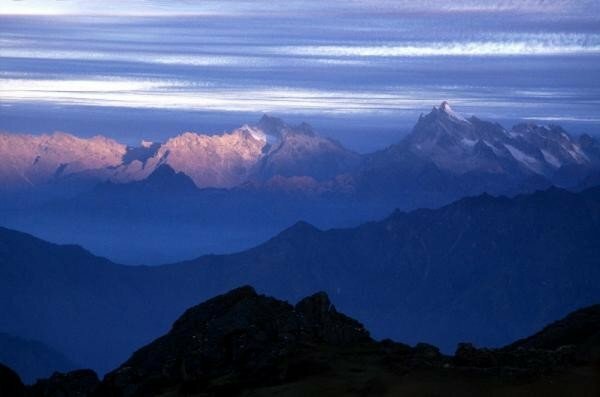 The trek not only allows you the opportunity to view the snowcapped mountains like Madiya (6275m), Phurbi Ghhyachu (6637m), Dorje Lakpa (6966m), and Jugal Himal but also allows you to observe the Newari culture at Jalbire. 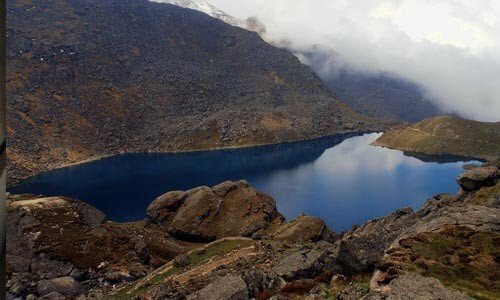 Passing through the rhododendron forests and rural settlements, you will make your way to the top where the holy lake of Bhairav Kunda is situated. Many Hindu and Buddhist pilgrims along with Shamans visit the lake in order to take a holy bath and wash away their sins. Devotees of Lord Shiva also worship in the temple near the lake. 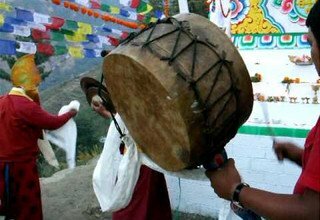 On your way back, the Buddhist villages, Sherpa houses, and terraced fields add a different flavor to this trek. 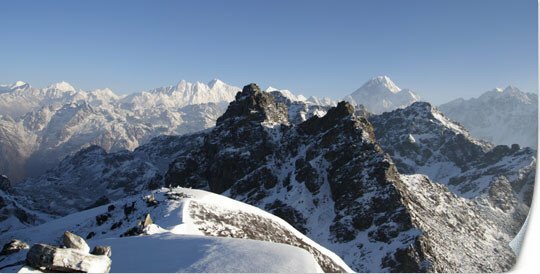 It is a trek with moderate difficulty and the best season for this trek is spring (March-May) and autumn (September-November). 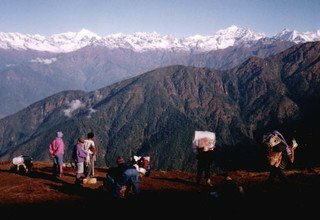 With constant guidance from trek guides and company representatives, Bhairav Kunda Trek we organize is well facilitated to make your stay pleasurable. Having served more than 15 years in the field of travel and tourism, Swiss Family Treks & Expedition is best known for its quality of service. The trip begins with your arrival at Tribhuvan International Airport, Kathmandu. One of our representatives will welcome you at the airport from where you will be transferred to the hotel. After a fulfilling breakfast at the hotel, you have a nice scenic drive of 6-7 hours. During this drive, you can enjoy the view of beautiful mountains and rural villages along the roadside. Driving on a bumpy road, we enter Balephi Valley alongside Balephi River and continue on the off-road until we reach Jalbire. 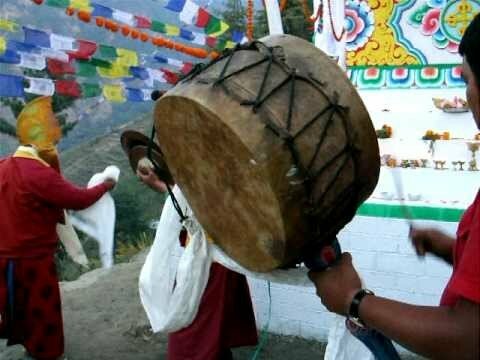 Jalbire is famous for the native Newari culture. Overnight at tented camp. On the third day, our Bhairab Kunda Trek starts. 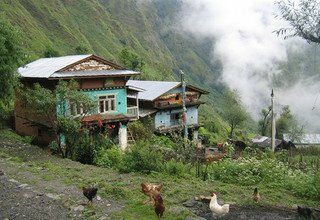 You trek through enchanting waterfall and beautiful Tamang villages. It will take 4-5 hours to reach Chanaute. Chanaute is a small village with a majority of Brahmin and Chhetri residents. Overnight at tented camp. The day begins early for us as we trek to Khanigaon. It will be a longer and steeper trek. It will take 6-7 hours to reach Khanigaon which is a Newari village. Enjoy the beautiful views through the villages, terraced fields, and crystalline streams. You can witness some good mountain views from the campsite. Overnight at tented camp. Today is all about exploring the beautiful village of Khanigaon and enjoying the surrounding mountain views. Khani means “source of mines ’’ and Gaon means “village’’. The people from Bhaktapur settled in this village after the battle between Bhaktapur and Gorkha in the 18th century. 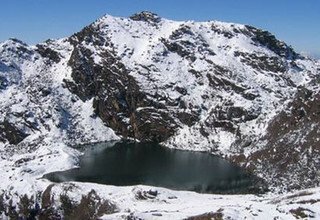 Visit the Dalle Pokhari and interact with the local Newar whilst tasting their food and enjoying their native dialect. Overnight at tented camp. 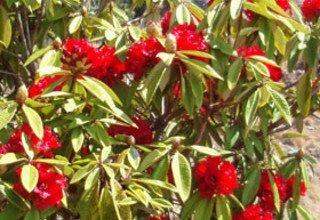 Passing by rhododendron forests and pasturelands, you reach Forest Camp in 6-7 hours. During the trek, you can see nomad houses, wild birds, and animals. With some luck, you may also spot bears and leopards. Overnight at tented camp. After breakfast at the camp, you trek for 5-6 hours in order to reach Pati. It will be a harder trek as the climb is steep and more challenging. On the way, you are going to see some pilgrim houses. After reaching Pati, you can relax and enjoy the mountain views from the campsite. Overnight at tented camp. 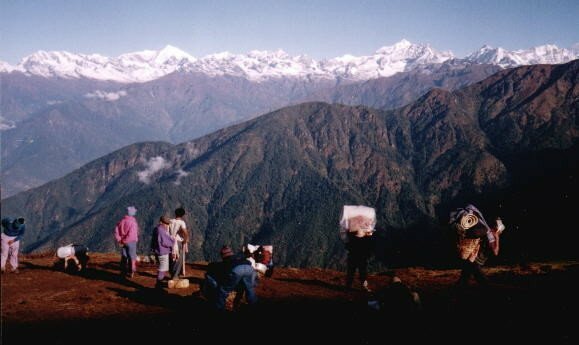 Today’s trek is an uphill walk for an hour and then a casual walk to Bhairav Kund. 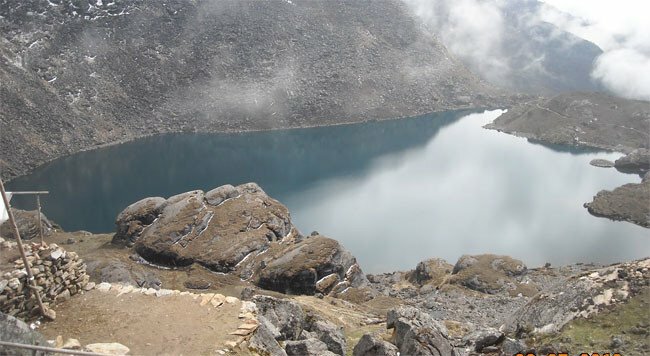 Bhairav Kunda is a holy place of the Hindu and Buddhist pilgrims along with Shamans who come to take a bath in this lake during the full moon of June/August which supposedly frees them of their sins. The devotees of Lord Shiva worship in the temple situated by the lake. Overnight at tented camp. Early today, you leave for Sherpagaon. 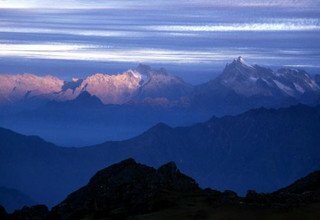 After one and half hours walk to the top, you will see the sunrise and the views of mountains like Langtang range, Jugal Himal range, and Rolwaling Himal (7181m). 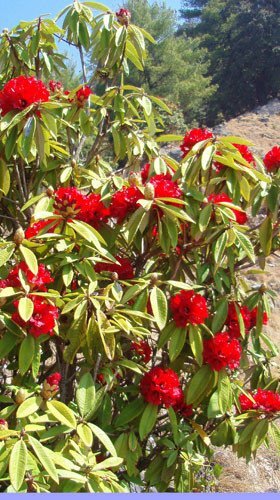 A steep trek downhill through the rhododendron forest will take you to Sherpagaon. Overnight at tented camp. 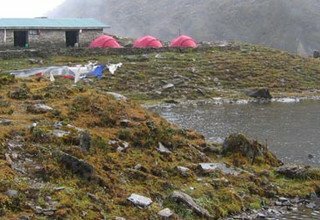 After breakfast at the camp, it will again be a steep downhill trek as you head for Larcha which is located on the bank of Bhote Koshi River. Visit the natural hot spring of Tatopani, and enjoy a warm bath to relax your muscles after an exhausting trek. Overnight at tented camp. After a good breakfast in Larcha, we drive back to Kathmandu. It will be a 6 hour drive back on Araniko Highway with a scenic countryside view. Overnight at hotel. After a fulfilling breakfast, our team representative will come to you at the hotel. Then you will be transferred to the airport 3 hours before your flight schedule.